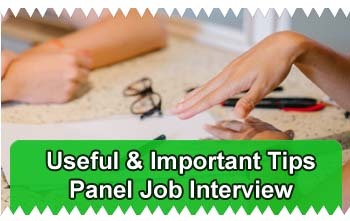 - You have some extra preparing to do for panel interviews. These are more like giving a presentation that one-on-one interviews, so your delivery skills must be strong and support your message about your ability to do the job. - Prepare for different styles of interviewers on the panel. Some may be quiet and ask very little, others may take over, and some may want to talk more than ask questions. Keep your cool if challenged by an interviewer, because the group will recognize unfair behavior and in most cases won’t take their criticisms seriously. - Pay attention to the group dynamics—whois in charge, how the people on the panel relate to each other, if they’re working as a team or at odds with each other. It won’t be the only information you will use to make a decision about this company, so these are important clues that will help you know if this is a good fit for you. - Watch that your preparation doesn’t get in the way of listening. We work so hard to get ready for interviews, making our MAPS, practicing our accomplishment statements, and researching the company and the people, that it’s easy for our own agenda to get in the way of playing attention during the interview. Always put good, active listening first.